Games are like any media in that certain characters become iconic. Whether it’s the high jinks of Jim Morrison and The Doors in music, the struggles of Harry Potter in books, or Indiana Jones in cinema, names come up that are instantly recognizable with varying degrees of knowledge on the part of the audience. In games, Pac-Man became the first pop culture icon of the medium, followed quickly by the likes of Mario and many others over the years, with Master Chief being the newest addition to the pantheon. This puts games at an interesting crossroads in their development. As with any young medium, games struggle for approval, for legitimacy in the eyes of established culture. Games are trying to prove that they can make an emotional, cerebral or even social impression on audiences with stories and characters that rise above simple violence gratification, and some games have succeeded at this. Others, however, often the most successful titles in the industry, refute these efforts with simpler, more popular escapades and characters that take hold of the larger audience, and eventually become emblematic of how the rest of the world views gaming. For every April Ryan or Nameless One, there are a dozen Space Marines or Charming Rogues/Amoral Killers. It is a struggle that gaming faces, fighting itself to create memorable, sophisticated characters while at the same time giving the audience the tabula rasa warrior or cartoon character stand-in that they have proven time and again they want to pay for. The first tactic, for obvious, technical limitations, has been to eliminate character almost entirely. In the beginning, graphical fidelity in gaming operated on the crudest possible levels, with games like Pong where players took control of a simple, white line on the screen. Other simple shapes came and went, such as Pac-Man, one of the great iconic game characters who was little more than pizza with piece missing from the side. Here the emphasis on was on action and agency. Who you were was inconsequential. What you were doing was all that mattered, even why you were doing something was trivial; this was a game, these were the rules, you played it. Is with perhaps the first great video game character, the gaming equivalent of Mickey Mouse, that players actually found someone to identify with on more familiar emotional levels. Mario and his first appearance in Donkey Kong, gave players a semblance of purpose to the character; his girlfriend had been kidnapped by an ape and he wanted to rescue her. No longer was the character an abstract shape in a tunnel of light as in Tempest, or a simple stick figure running from one chamber to the next shooting things endlessly as in Berzerk. Mario actually had a goal he wanted to achieve, something beyond merely the game mechanics. It was one of the first times players could relate to the character in a meaningful way, and this was reinforced throughout the 80s with experiments like Dragon’s Lair and Dirk the Daring’s animated escapades to save the princess in the castle. But even then, this was a character in short hand, a series of characteristics, rather than a developed person, which paved way for audiences to expect more story in their games, though not necessarily more characterization. Is It He Or Me? It is because of this that, particularly in first person shooters, a popular tactic has been to dispense with character—though not necessarily narrative structure—and rather than try to develop characterization, encourage the player to identify with the action personally. Master Chief, of Halo fame, is a good example of this, provided with minimal background and character traits, instead becoming an empty, armored vessel through which players can insert themselves, enjoy the power fantasy of being a space marine, and bask in the adulation of the other characters within the game for feats of superheroic bravado. 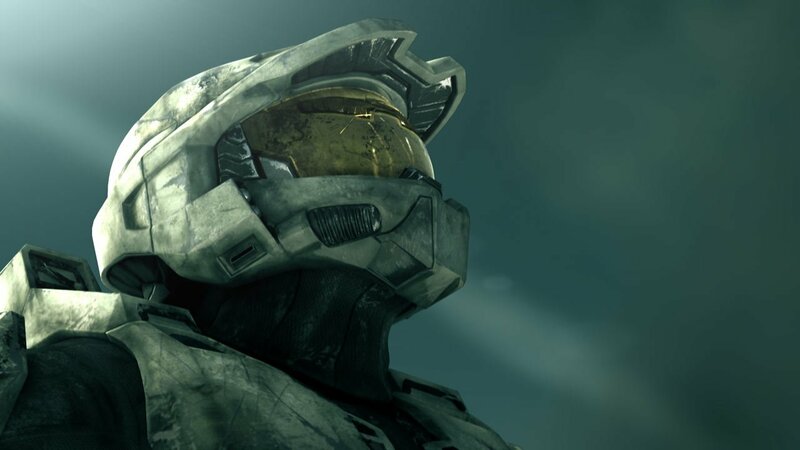 Players love Master Chief not because of Master Chief himself, but because of the fact that through Master Chief, they themselves have become the hero of an epic science fiction adventure. 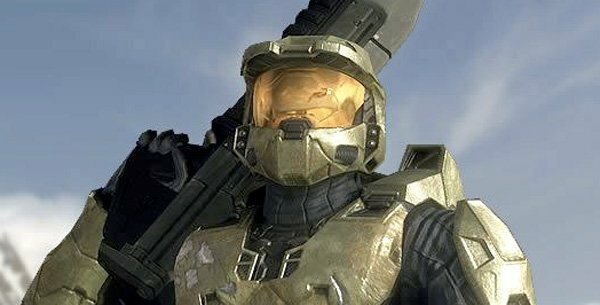 While there are obviously books and other ancillary material that develop Master Chief’s personal history for more curious fans, the vast majority of Halo fans don’t praise Master Chief’s humanity and emotional complexity, so much as their own memories of taking down the Flood with a shot gun and an energy blade. This obviously, is what gaming does best, providing not just a window into another world, but an opportunity to interact with that world. And it is more interesting for people to think of themselves as being participants in this world instead of merely observers. Mute characters, simple or undeveloped characters, these are the vehicles that the industry uses to carry that concept forward. If a player doesn’t have to think about the character they are inhabiting, they simply become the character. Though it took a while, true, traditional characterization eventually did come to games, and it happened largely on the PC at first. The genres of adventure games and role-playing games have always straddled a delicate balance of interactivity, in the form of puzzles and turn-based combat, with story-telling as a reward for overcoming those obstacles. As such, they were the closest thing the medium had to “interactive novels,” first with the pure text adventures from Infocom such as Zork or early RPGs like Ultima and then point and click adventures such as The Secret of Monkey Island and bigger RPGs like Baldur’s Gate. Eventually the protagonists grew much more complex and it’s here that we have full blown, sophisticated characters that begin to rival those audiences expect from literature. The Nameless One, for example from Planescape: Torment is regularly cited as one of the most memorable characters in gaming because of the enormous depth he possesses. He begins the game as that most dreaded of clichés, an amnesiac waking up with no memory of who he is, where he is, or what he’s doing, but as he uncovers more memories of his past and learns the true scope of his actions, a fully fleshed out, enormously complex character surfaces that is leagues ahead of his literal tabula rasa state at the beginning of the game. On the other side of the coin, though again in the realm of PC games, is the traditional hero’s journey as typified by April Ryan from The Longest Journey. April is a struggling art student in college just trying to get by with friends and school when she finds herself involved in a war between our world of science and a parallel world of magic that was separated from our own ages ago. While the bones of the story sound generic, April Ryan herself is not, fully fleshed out from the beginning as a smart but insecure young woman who eventually comes of age and learns just as much about herself as she does about the state of the world. Her arc is a classic one, surprisingly not often invoked in games where characters at the end are often the same as they were at the beginning. April Ryan however undertakes a true emotional journey that changes her in sophisticated, believable ways. Unfortunately, simply by look at the list of characters already portrayed, a pattern begins to emerge. The most popular, iconic characters are without a doubt Pac-Man and Mario. They have the largest recognition factor with general audiences, followed by Master Chief. The Nameless One and April Ryan, while critically praised are on the fringes of popular recognition within gaming culture. In other words, simple characters seem to be more widely recognized than complex ones. One of the primary reasons for this pattern of character recognition is simply the amount of time these games demand. Pac-Man and Donkey Kong are arcade games, and thus their concepts and gamplay are accessible within minutes. Master Chief and the Halo series are polished, first person shooters that can be completed in 10 hours or less, with additional multi-player time tacked on as desired. Adventure games and role-playing games, however, can take anywhere from 20 to 100 hours, requiring commitment on the part of the player to stay with the game for the long term. However, like a novel, it is this extended time with the character that allows creators to grow and develop that character. It is the equivalent of trying to communicate character in a single issue comic book versus having 300 pages of pure text to achieve the same goal. And for a while it seemed like these complex characters were going to be relegated to the fringe of critical respect, but less commercial success. Both the public and the critics were forced to rethink that with the advent of a new style of role-playing game. 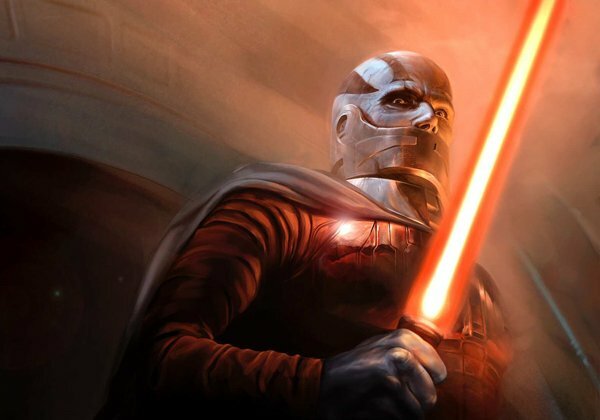 Mainstream audiences got their first taste of self-authored character development with the debut of Star Wars: Knights of the Old Republic from PC stalwarts BioWare. The creators of the Baldur’s Gate series married both the ability to choose that games were best known for with character consequence and development that traditional narratives represented. While players still couldn’t truly do everything they imagined, they were also no longer confined to a linear path with only conclusion. They could also choose the outcomes of their encounters, interacting with others as a force for good or evil, and thus developing their own character who could be very different from the characters of other players. This was further developed in games like Mass Effect and Dragon Age, where choices made in one game carried over—along with reputations and even love interests—into sequels, giving players the sense that their decisions had real weight and impact on the game world. These games are still RPGs, and thus have time demands that far outstrip those of other genres like action games and first person shooters. Despite that, the very real opportunity these games present to craft a character of the player’s own choosing are having a real impact on audiences. Mass Effect 2 was not just a critical success, with many outlets hailing it as a game of the year, it also sold incredibly well for BioWare. Players flocked to the game for the chance to take “Their Shephard,” the main character Mass Effect and see how the character further developed in a sequel. This was explored to an even greater degree in Dragon Age: Origins where players chose the actual origin of their character, one player’s hero of Ferelden might have been a lowly dwarf risen from the fringes of Dwarven society, while another was a human of noble descent, or even a gypsy-like, nomadic elf living outside of civilization entirely. It’s here that perhaps characterization in gaming has finally found its place. The interactivity of games make traditional, linear narrative and characters feel limiting. But by acknowledging the medium’s greatest strength, choice, and grafting that even onto the development of characters themselves, games have found a way to engage players and make them willing to commit to the time larger stories demand. People may still prefer simple games of pure mechanics such as Tetris or Pac-Man, and they may also enjoy reductive characters that are merely stand-ins for themselves, but when presented with the opportunity to craft a character and develop it according to their choices, this manages to fulfill the necessary sense of progression for character development while still giving players the control and interactivity that is the hallmark of games. It’s still an enormously complex, expensive, labor intensive task that few companies outside BioWare have tackled with the same ambition, but at least the path has been blazed and more opportunities await. What Does the Future Hold for Kojima And PlayStation?